Roco 2014 New Fall Items Just Anounced! 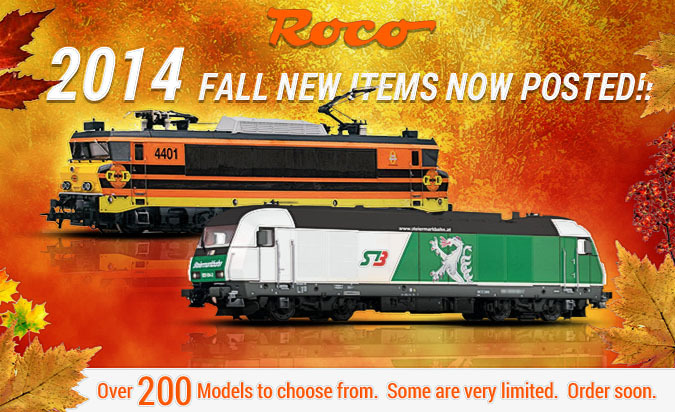 Roco just announced the 2014 Fall New Items. Click here to view from a large selection of Locomotives, Passenger Coaches, and Freight Cars.